These little biscuits have been circulating Pinterest for quite some time now. After seeing a post about them for what seemed like the gazillionth time, I decided to give them a go, gluten-free style. Since the primary ingredient is Bisquick, it was really simple to substitute GF Bisquick instead. I was very impressed at how easy these little biscuits were and they disappeared quickly. With a light sweet flavor as a result of using the 7-up, the biscuits are slightly crumbly and on the doughy side. Which I won't complain about since that's the way I love my bread. I'll definitely be making them again. 1) Once oven is heated, place butter in a 9x9 inch glass baking dish and heat in oven till melted. Keep an eye on it so it doesn't burn. 2) In a large bowl, cut sour cream into Bisquick. Add 7-Up and mix well. The dough will be very soft. If it seems too crumbly, add a little more soda and sour cream. 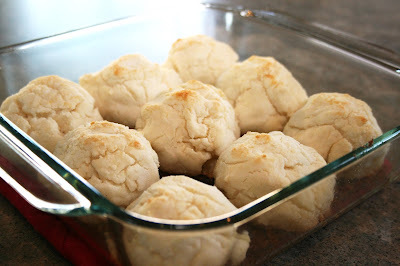 3) Roll dough into 9 equal balls. Place dough balls evenly spaced into baking dish with melted butter. 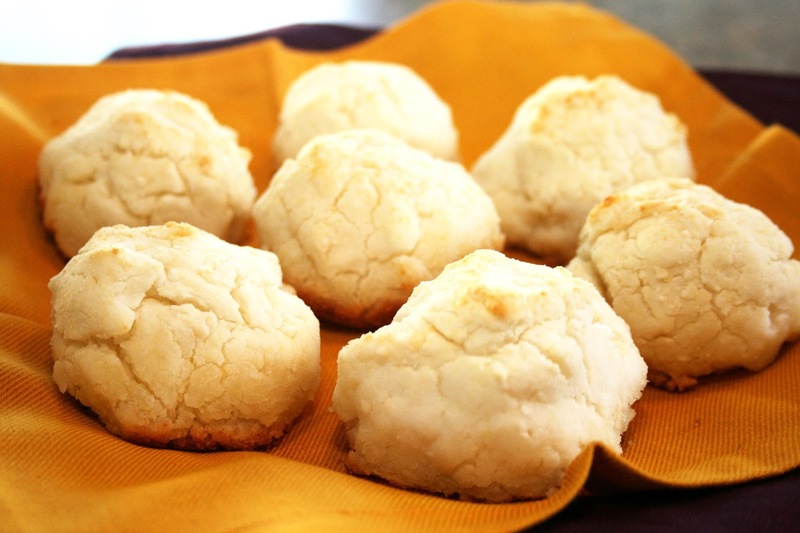 4) Bake biscuits for 12 to 15 minutes or until tops begin to turn golden brown. You'll love how easy they are too! Hi Andrea, thanks for this makeover, and your candid expression of being the lazy gluten free. I have been so lazy about the gluten issue, that I keep consuming gluten!!!! yikes! But as I see increasing need to eliminate it, it is nice to know it doesn't have to be hard work and laborious. Thank you so much for the kind words! This is exactly why I started this blog in the first place, gluten-free eating doesn't have to be hard or taste bad. It is difficult starting out, but don't get discouraged, eating strictly GF will become second nature in no time. This sounds super easy to make! 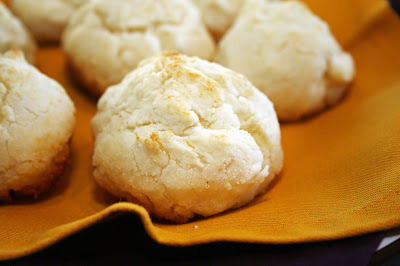 I love biscuits, too, and to be able to use the GF Bisquick (which I have a ton of in my pantry) is perfect! They most definitely were easy! Enjoy! Does anyone have a recipe for gluten free bisquick? At 5 bucks a box and usually a whole box is used in a recipe, that gets expensive. Hi Pamela! Great question. Although I have not tried any variations, I did find a few links (below) that you can try. I am not sure that going the homemade route would be any cheaper though by the time you buy all the necessary flours, as those are not cheap either. Let me know if you find something that does work better/is cheaper though! Here's a recipe for homemade GF bisquick mix. I haven't tried it yet but will!